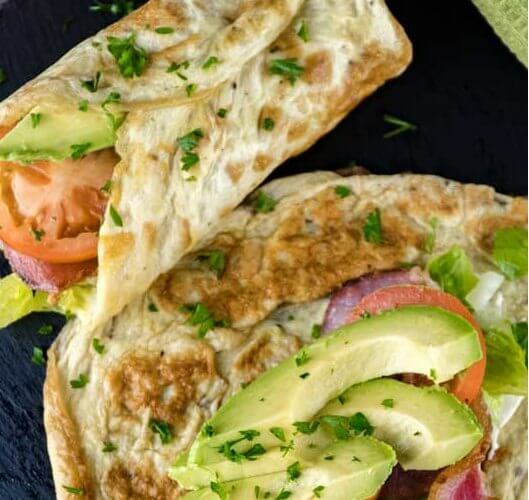 Find over 20 Easy Keto Breakfast Ideas that you will love. These Keto Breakfast Recipes are so tasty and very easy to prepare. You will be amazed at how delicious these recipes are. 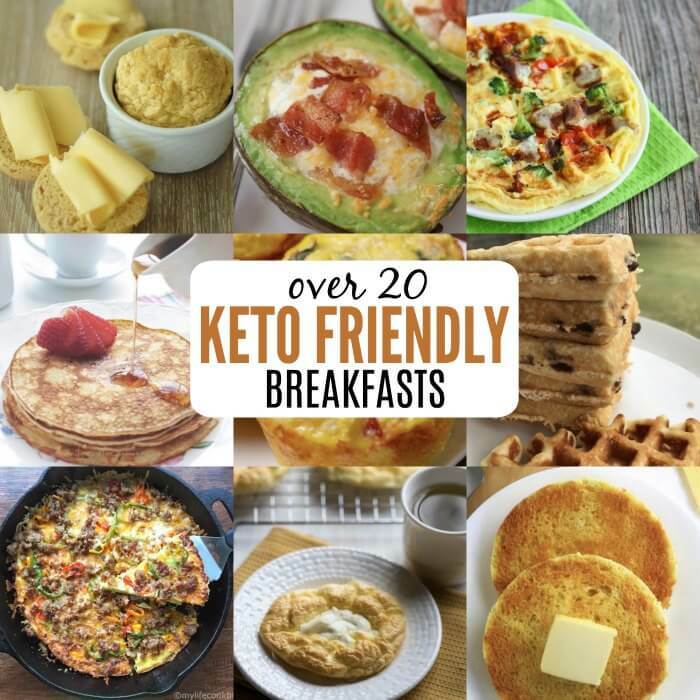 If you are following the Keto lifestyle, we have over 20 Keto breakfast ideas sure to impress! There are so many yummy options to choose from. 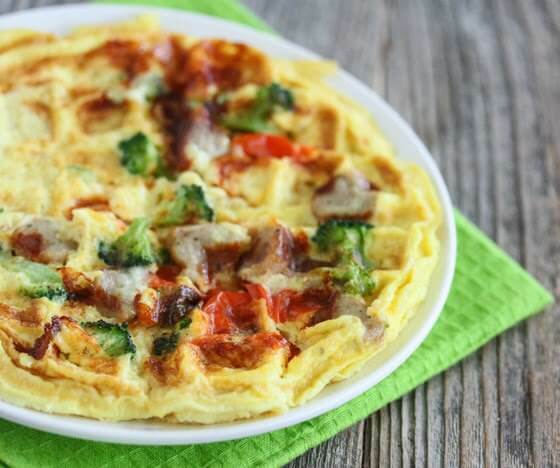 From pancakes and waffles to omelettes and breakfast pizza, there are so many low carb options! Breakfast may soon become your favorite meal of the day with so many yummy recipes to choose from. These delicious breakfast foods will start the day on the right track. Breakfast is the most important meal of the day so choose wisely! With just a little meal prep, you can be set for the entire week. From bacon and eggs to pancakes made with coconut flour, there are so many tasty options for weight loss. The Ketogenic diet is high fat with minimal net carbs. There are so many keto friendly options, keto diets are quickly become a favorite among many. I love to start the say with bulletproof coffee and sausage patties! Let’s get started with these tasty Keto Breakfast Recipes! 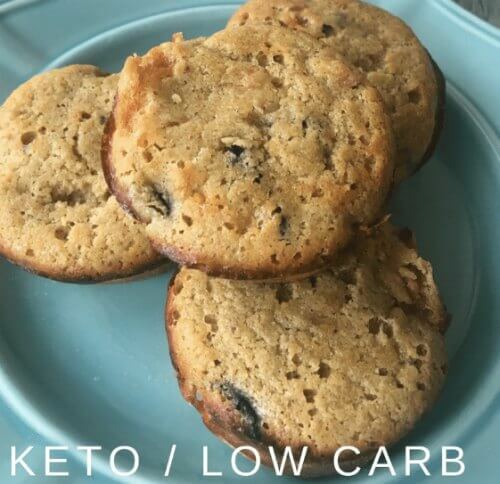 Enjoy biscuits even on the Keto diet. These fluffy biscuits are sure to satisfy your craving for bread. 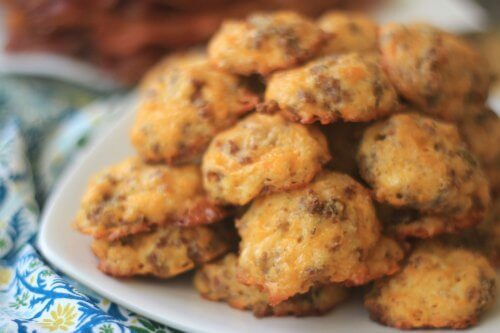 These are great for Keto breakfast fast food to make your favorite breakfast biscuit with sausage patties, eggs, or bacon. Enjoy a muffin in only 1 minute! 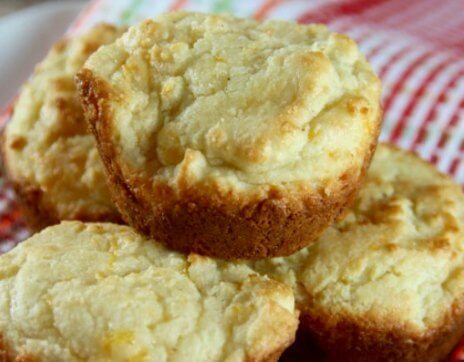 These tasty muffins can be either sweet or savory depending on what you add. Yum! Keto breakfast eggs are a breeze when you know how to boil eggs in the oven. 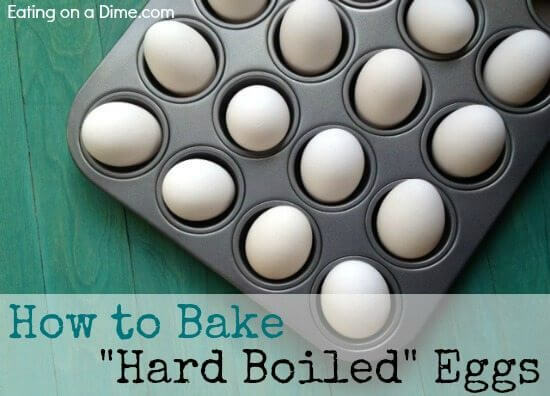 You can quickly and easily have hard boiled eggs from baking them in the oven. 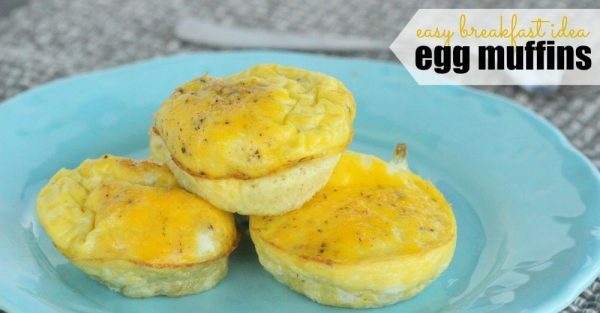 This is great for keto breakfast meal prep for the week when you need to boil lots of eggs. It’s hard to believe these fluffy waffles are keto friendly but they are! 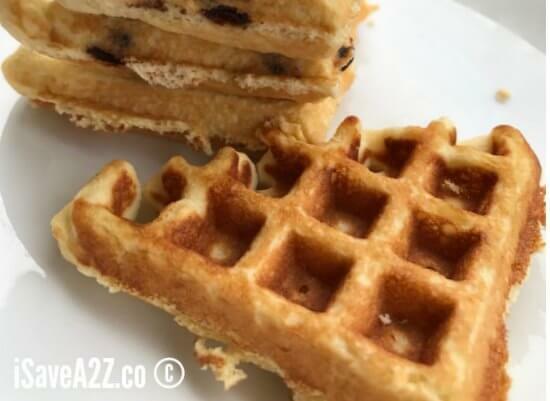 The entire family will want to enjoy these tasty waffles. 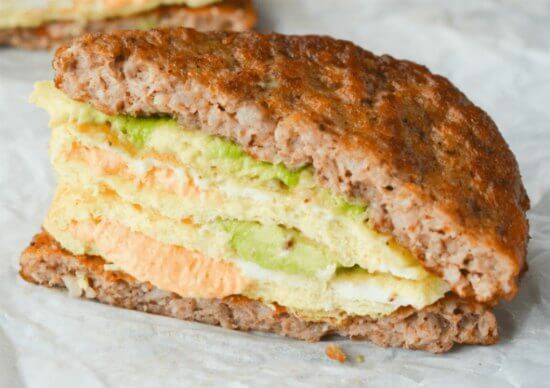 This hearty breakfast sandwich is loaded with eggs, sausage, avocado and more! The sriracha really adds a kick of flavor that sounds amazing. 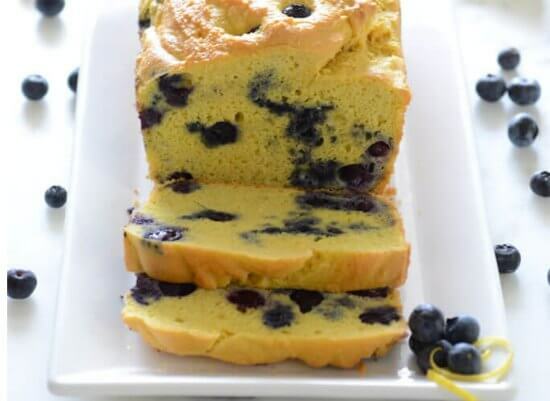 Everyone will love this Keto friendly bread loaded with blueberry and lemons. This is the perfect bread for breakfast and could also be a dessert. Either way, it is sure to be a hit. 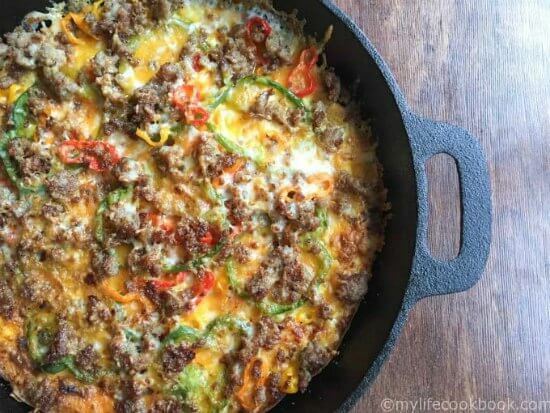 If you love Sausage Balls, this breakfast casserole is very similar but without the guilt. 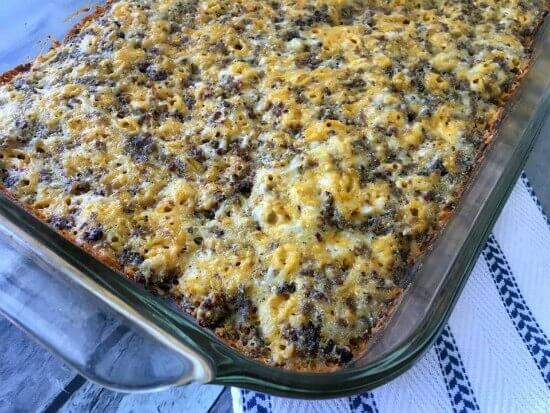 Enjoy this sausage and cheese casserole while staying on the keto diet. Fresh blueberries and strawberries make this muffin recipe amazing! You might want to make a double batch because these keto breakfast muffins wonderful. Pizza for breakfast? Yes please! This delightful breakfast pizza is loaded with all of your favorite breakfast foods. Fluffy and delicious! 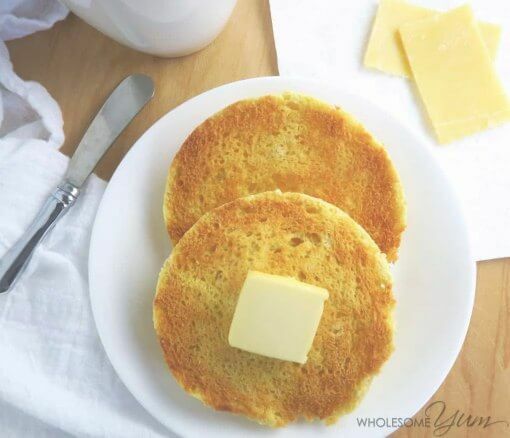 These Keto breakfast pancakes satisfy your craving for a short stack of pancakes any day of the week. Riced cauliflower is loaded with cheese, ham, spanich and more to make hearty muffins. This can easily be adapted to suit your taste. The perfect breakfast to enjoy on the go. 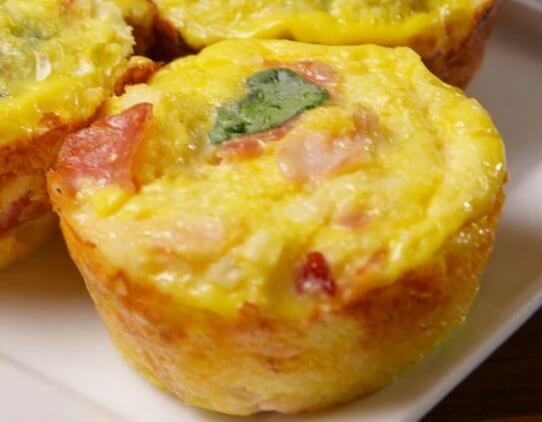 Grab and go with these easy to make and incredibly tasty egg muffins. They are so simple to make with only a few ingredients. You can make English muffins in just a minute in the microwave. 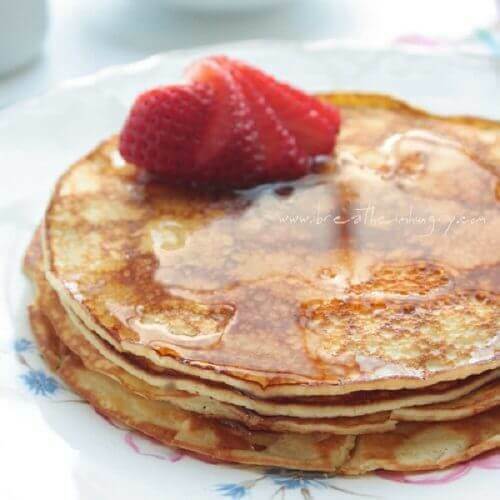 Simple and delicious and the perfect breakfast food! 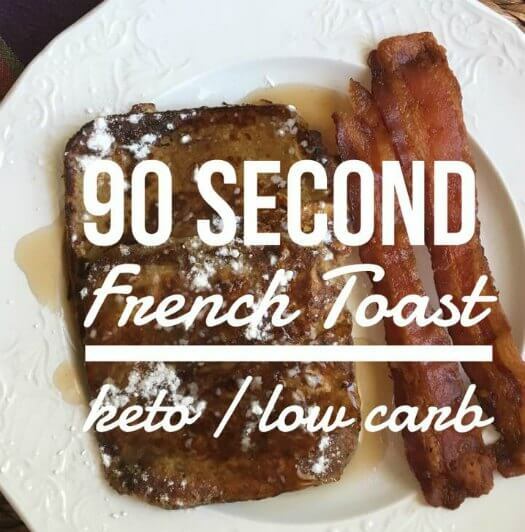 Only 90 seconds and you can have this amazing Keto friendly french toast for breakfast. This recipe is quick, easy and oh so yummy! 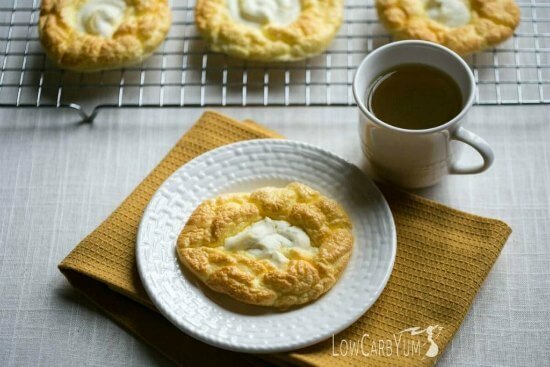 Everyone loves a good danish and this one is loaded with creamy cheese. It’s hard to believe this danish is Keto friendly because it sounds amazing. It’s the perfect meal for a Keto breakfast no eggs idea. 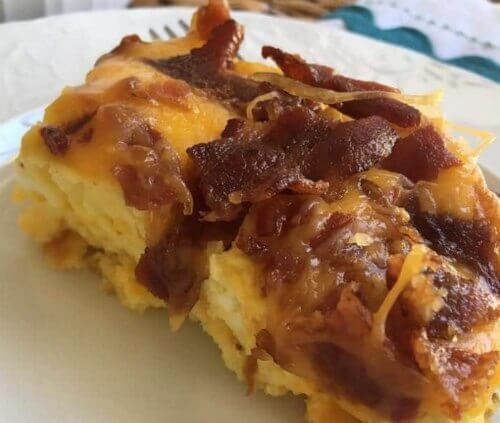 There is so much flavor in this keto breakfast casserole. Every bite is loaded with lots of cheese, keto friendly biscuits, bacon and more! Everything you need for breakfast is stuffed inside a delicious avocado. 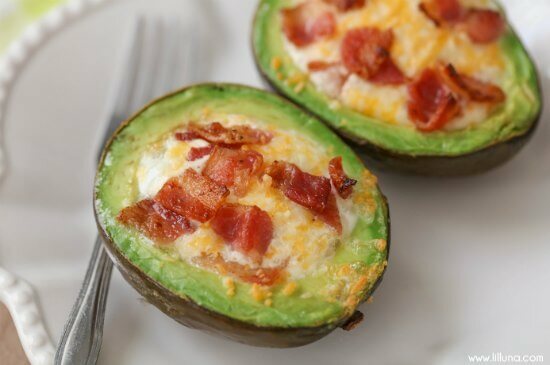 Bacon and eggs taste even better baked to perfection inside an avocado! Make omelettes in your waffle iron. Such a fun twist on the traditional omelette and tasty too. You can add all your favorite toppings. 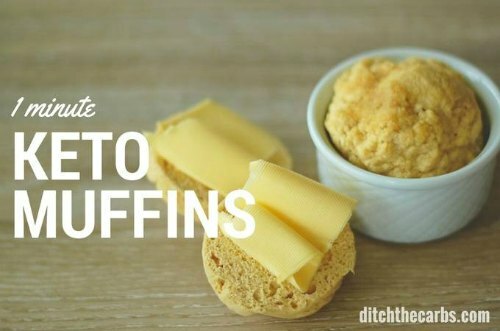 These little puffs are bite size comfort food. Loaded with sausage and cheese and perfect for breakfast on the go. 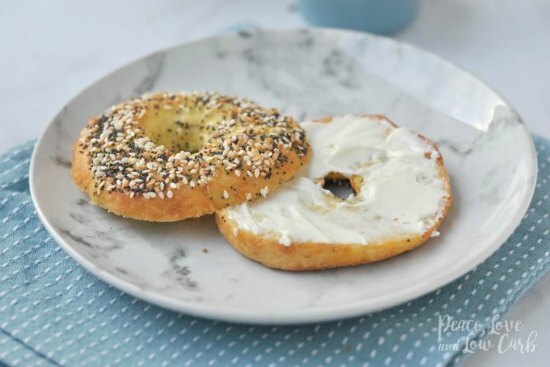 If you miss bagels, this is the recipe for you. Top with cream cheese or turn this into a breakfast sandwich with eggs, meat and more! Try these burritos with bacon, avocado and more. You can add or omit to suit your tastes. Yum! 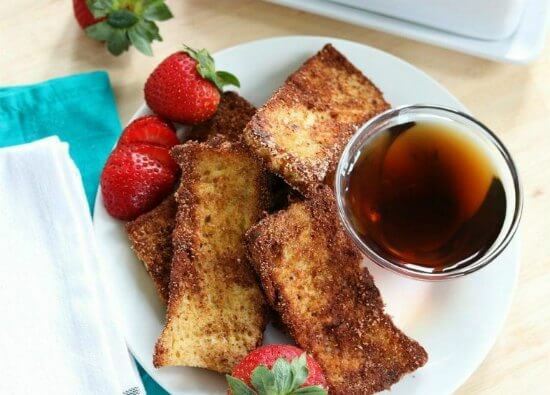 Even the kids will enjoy french toast sticks. Each one is perfect for eating on the go and it’s all Keto friendly. Which Keto breakfast ideas will you try? 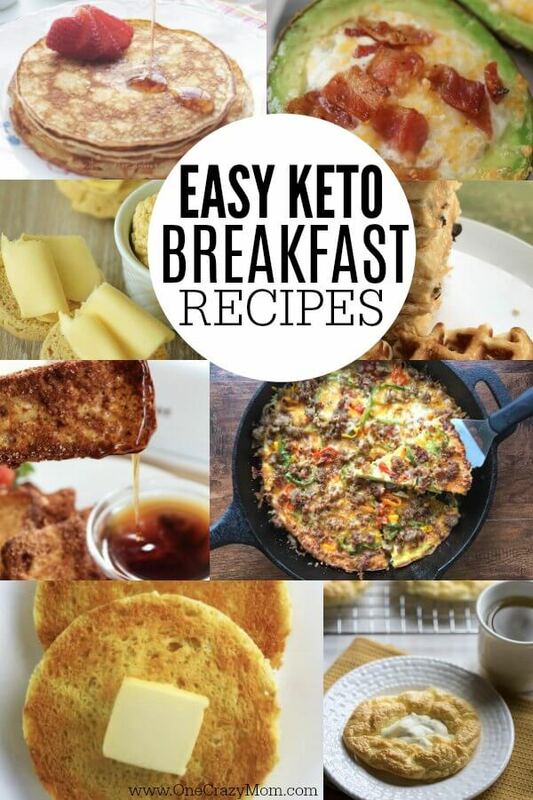 Now that you have so many easy Keto recipes, you will have lots of options for breakfast. With over 20 40 new keto meal ideas to try, you are going to love eating Keto. I can’t wait to try the breakfast pizza recipe. I think even my family will love it! Need dinner ideas? Find 40 Easy Keto Dinner Ideas here. There is something for everyone! 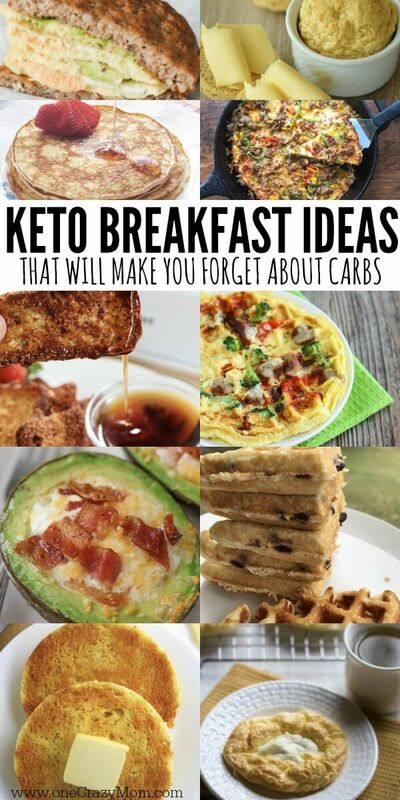 Give these Keto diet breakfast idea a try!